32×11-36 is fine for my 9yo but we’re doing rides where the climbs are short but steep, I can see that having a few more gears could be useful if we went on rides with longer climbs as emergency bail-out gears. Hmm, I’m at the stage of looking for a bit of reassurance as I’m getting a bit concerned about how long my sprog will be in a 24 inch bike! 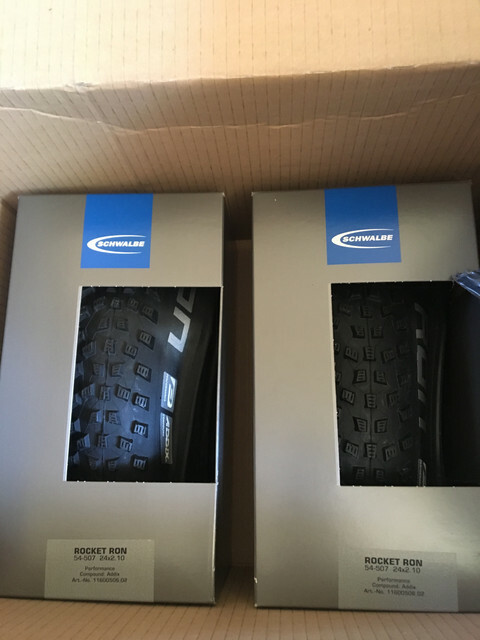 my two eldest aged 10 and 12 years old have been on 24″ wheels for nearly 2 years. One has a Luna (blast with different colour paint) the other a Hotrock 24, both kids are about 145cm tall and with the scarcity of X-small frames for larger wheel sizes around here they’ll both probably be still riding them until they can fit an adult small or medium size frame. 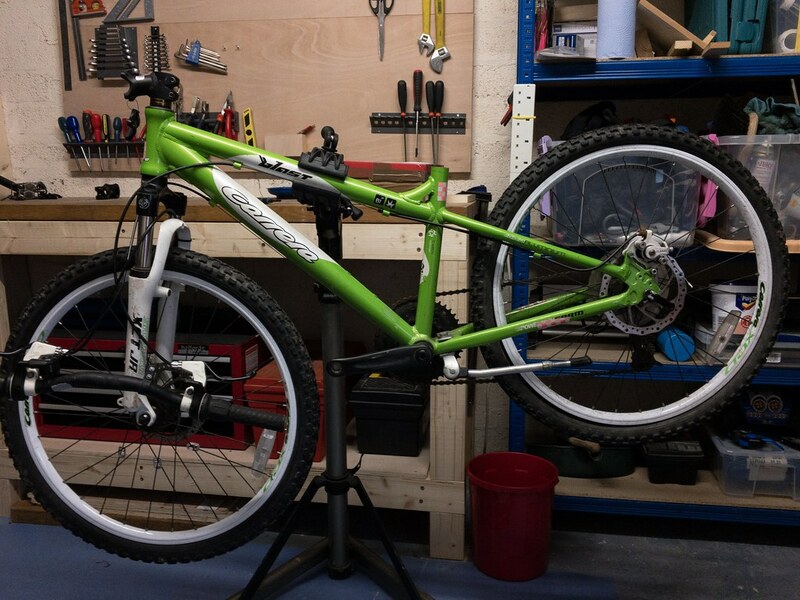 Although this may require a 400mm seat post and riser bars to tweak their riding position. Yeah my lads been on his for 2 years now and i’m just starting to think about building him a 26″ wheeler, if I come across the right frame. He’s still ok on the 24″ and he’s just over 140cm, but it will start getting too small now. Although his next bike might be governed by how fast his sister grows as she’s starting to get too big for her 20″ wheel bike!! My lad has had his a couple of years. He’s now 11 and needs a bigger bike, plus his 7y/o sister has outgrown her 20″ Luna – so she need the 24″ blast now! I have got a small 26’er to build for my lad – just need to get it done. My 9yo has been on his Blast for a year now. It’s still running the seatpost at just a couple of inches up and the stem is just 45mm. I expect he’ll be on it for a few more years! 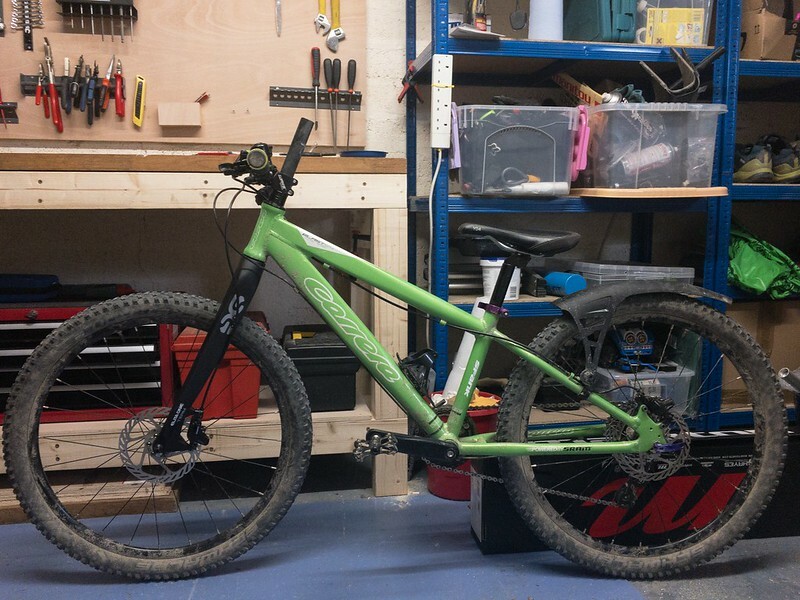 The good thing about doing a 24″ build from bits is when they do out grow it, everything but wheels and fork can be moved to a 26″ frame. That’s how I justified buying reasonable parts anyway 🙂 (Deore brakes, Sora mech, etc). OK, thanks for the posts, that is somewhat reassuring – although my sprog will be a bit younger and I fear that he won’t slow down his vertical aspirations. Rossburton – that is exactly the line of thinking I have been using to justify this folly to my wife. It’s only that I need to invest in some wheels which won’t be transferable that I am now pausing. One other side question – I’m planning on going 1×11 on it. Picked up a decent priced XT mech and a sunrace 11-46 cassette for reasonable money. What the verdict from experience, 32T or 36T front chainring? Our kid just turned ten last week and has outgrown his blast, should have got him on earlier as he only got a year out of it. I don’t think of him as that tall, because he’s in a very tall class and a lot of his mates are lanky, but I guess he’s at the taller end of things. If you’ve sprung for a decent wheelset then the biggest difference will be the drivetrain, as 1×7 on the stock wheels is a bit narrow. It’s not ridiculous, but a wider range will help for little legs IME when you start to do more longer, hillier mountain biking rides. Just as a general FYI I’ve got our kid a secondhand Creig 26 as the next step and it fits him perfectly, which was not what I was expecting. Thought it would be more of a grower, but it looks like he’ll be rinsing through this one in short order as well (it seems like a pretty short reach frame). So if there are any Dads out there looking at the Creig as a long term rental, it’s prob a good idea to get the bairn on it asap – they might fit it sooner than you think. When we go on longer rides though he has a 30/32 Oval… I doubt he would enjoy doing long climbs like the Wall with the 36T or he would end up using 1st (which is pretty much reserved as a bail out gear)??? Either way the 32 is “fast enough” on the way down. Thanks again all, I have the 32T chainset as that was my thinking, but only have a few days to change my mind; so it is helpful to take stock! For normal riding the 32T is plenty… they might spin out on long firetrails but at least they get up them. Nothing worse than a long day and they are worn out so you take a fire tail route back and the last few climbs are misery…. 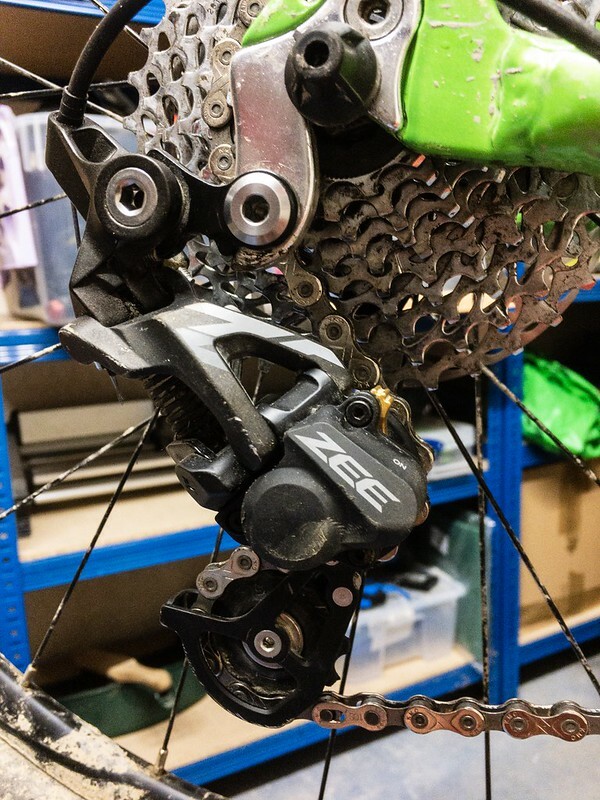 So if you want flexibility its a couple of minutes to fit a larger chainring … without the hassle of removing the crank to do so. Hi folks, what 24″ tyres are around that would be good for a couple of weeks in the Alps? My daughter’s bike has Small Block 8s on it which seem pretty good but I think something a bit chunkier might give her some more confidence on the steeper stuff. I was going to with the hoy crank chainset – so it come in 32t or 36t; doesn’t look like an easy switch over for that one. Right….picked up some Reba dual air last night, need some work but hopefully at 80mm they will be great on the upcoming birthday Luna build. Rocket Rons on the way from Germany too. In the immortal words of DJ Shadow, it is happening again. Stock weight: 13.5kg. Let the strip commence! Actually, whilst this thread is briefly alive again: does anyone know a good source of hot pink parts? My girl wants a pale blue bike with hot pink (not baby pink, not purple) accents. I’ve got some hot pink chainring bolts already but annoyingly can’t seem to find matching touches: seatpost clamp etc. Sounds good Ross. My Luna build will be going on simultaneously then! Light blue and hot pink does seem to be the order of the day in our house also. We’re going for RAL 5012, btw. 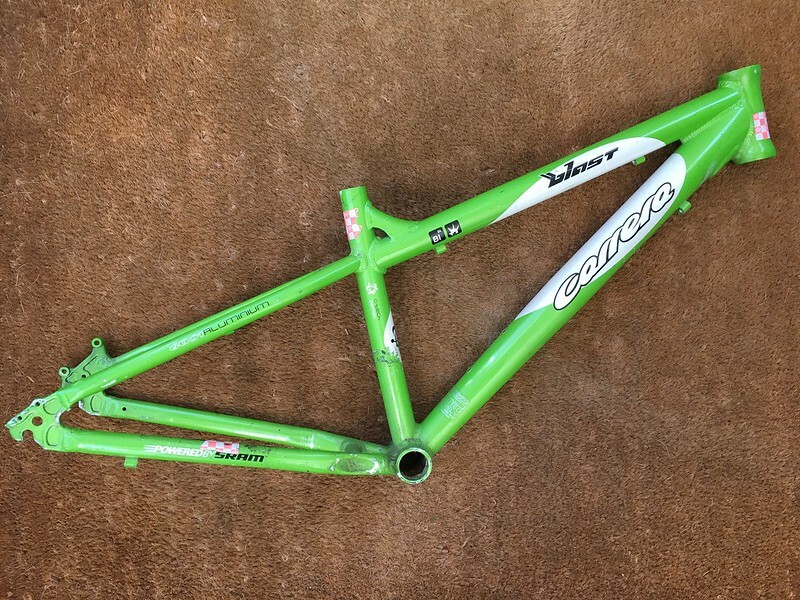 Hope to have the frame in the powder shop this week. Sounds good Ross. You got a link for the China pedals? I did wonder if the DMRs would be too big. If you want matching pink then have a look at Santacruz palmdale grips and DMR v6 plastic pedals. The colours are exactly the same. The V6 pedals wont be too big. I just put them on my daughters Luna on the link below. My daugther has these grips on her bike. The local woods have quite a hill in the middle and 11×11-32 wasn’t quite cutting it. 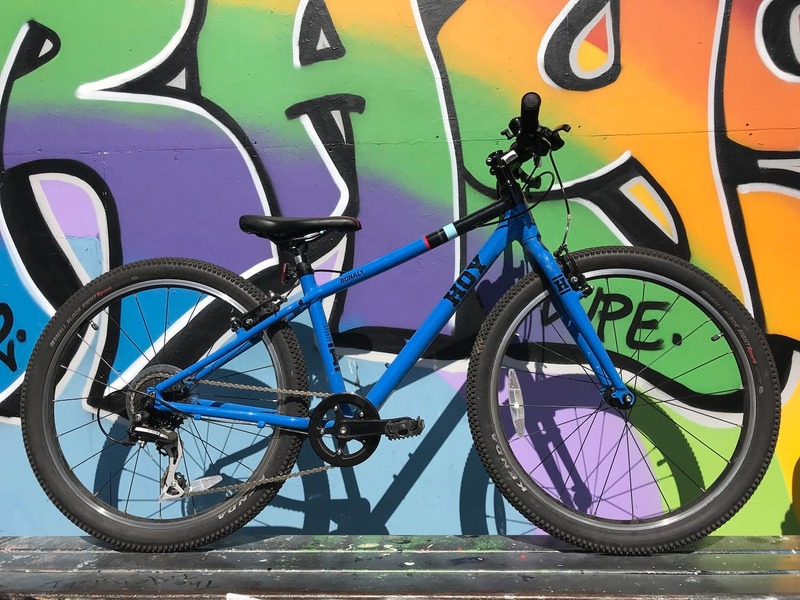 I can fully endorse 10-speed Zee kit, available for a reasonable price, has a very short cage so isn’t in the way of rocks, and in Freeride mode (the default) will happily shift like a dream over a 11-36 cassette. And she’s stripped and off to be powder coated. Important question: tyre choice! The other bike is running Rocket Ron’s front and back, but I found a pair of Smart Sams for a good price. Any opinions on running Smart Sams front and back on the new bike (which won’t be going proper off-road as much yet), or run both bikes with Rocket Rons on the front and Smart Sams on the back, or Sams are rubbish and spend the extra fiver on Rons? Smart Sam is a very versatile tyre in 700 and seems to fit the bill. How it works in 24″ I don’t know. I have smallblock 8 on my daughter’s 24″ bike which would also fit the bill. Okay collective wisdom, let’s talk axle-to-crown. One of our Blasts currently has an Exotic carbon 24″ fork, which has a 33.5cm axle-to-crown distance. At the time this seemed a better choice as the original fork looked too long at ~42cm (also being a rubbish coil shock has no sag), but now I’m wondering if the slackness would help with stability and confidence going down. So, what forks are people riding on their Blast 24, and what is their axle-to-crown? Not a Blast but my eldest has 475mm a2c XRC100 on his Scale RC24 frame that’s designed for a 24″ rigid fork. Its slackened the front end out to a crazy 62deg (unsagged) HA but works surprisingly well up and down. Kind of ‘Geometron’ type front end geo really. Might not be for everyone and probably would be a little unweildy on less tech rides. I’ve got Fox Float 80’s on my kids Blast. Not sure what the a/c is – will measure them tomorrow. From what I remember they’re not far off the original fork dimensions. Okay people, a quick vote. Too slack, or cool slack? Depends what for…. if you were raising the front for working suspension then that will help with DH confidence and obviously take a toll on climbing and to some extend undo lots of your hard work and investment. At some point you might end up doing what I did and just go for 2 bikes? Eldest daughters first ‘proper’ bike (tall 9 year old). 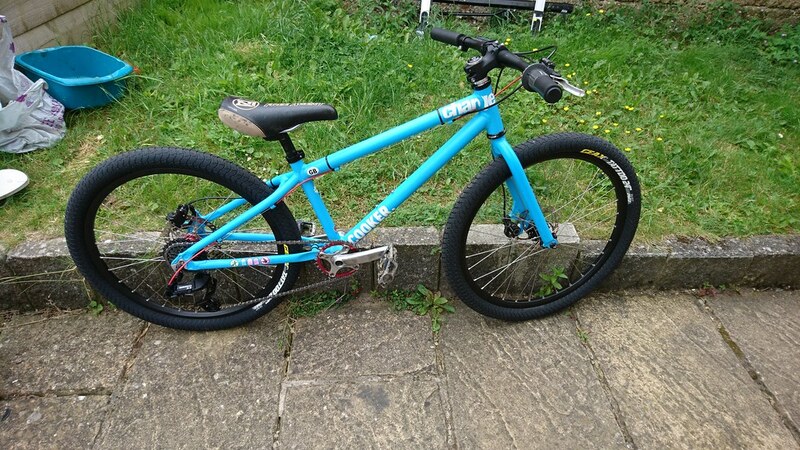 It started life as an eBay special, 14″ Giant complete bike that was quite unloved but had serviceable wheels, rear mech, chainset. Second hand bits from the lovely STW massive, a few new bits, respray and she has something that is unique for her. Great fun.